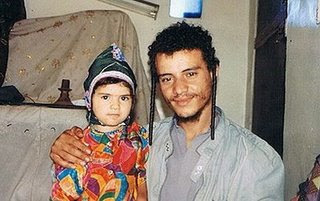 In December, Abed el-Aziz el-Abadi, a former MiG-29 pilot in Yemen’s air force, confronted Moshe Yaish-Nahari (pictured) at the market in Rida, called out to him “Jew, accept the message of Islam” and then proceeded to open fire with a Kalashnikov assault rifle. Nahari was struck by five bullets and killed. This weekend, Muslim students in “solidarity with the Palestinian kids in Gaza” threw stones at Jewish children in the Raida district of Amran, Yemen. The children of Yemeni Jews in Raida district of Amran province were assaulted on Sunday by Yemeni Muslim students due to the Israeli attacks on Gaza. Some Jewish children were injured, one seriously, when Muslim students threw stones at them in “solidarity with the Palestinian kids in Gaza”. This incident took place one day after the authorities announced that preparations for relocating the Jewish Community in Amran to live in the capital Sana’a following of threats members of the community have recently received.